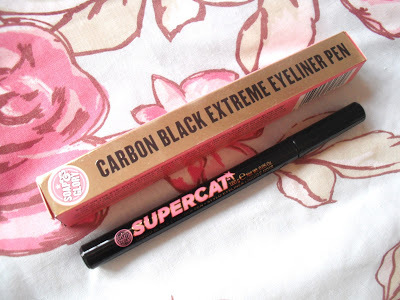 I bought this Soap and Glory eyeliner from Boots after trying out their Thick and Fast mascara. I use liquid eyeliner everyday, but I have started discovering felt tip liner pens which are much easier to use and less messy. 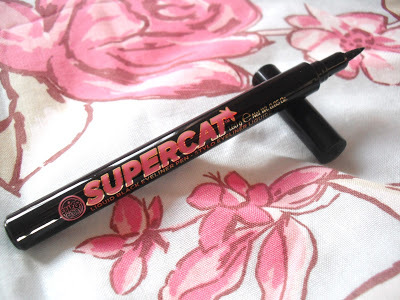 Soap and Glory’s new cosmetic range includes this eyeliner pen which claims to give a rich and intense colour, aswell as being long lasting and hard wearing. Gorgeous Soap and Glory packaging.. as always. Although I must say that I think the cardboard box is a little unnecessary as it just gets thrown away. 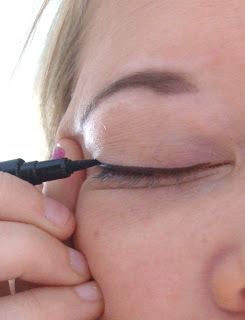 This eyeliner pen has a super fine tip, which makes it very easy to draw on a straight line on your lid. You can use it for a natural fine line, or a thicker for more dramatic look. I found it very simple to use, and the colour is dark and vivid, not watery and grey like others I’ve tried. It’s easy to remove if you make a mistake, but it doesn’t ware off quickly. 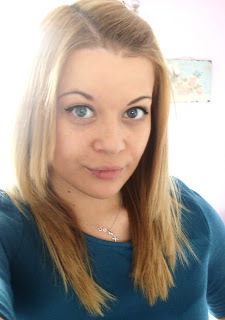 The finished look, with mascara. 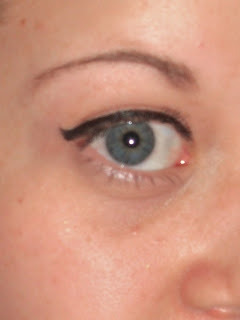 I thought I would post a photo of my eyeliner still in place.. 13+ hours later! You can tell how worn out and tired I am.. but the eyeliner has withstood a long and busy day, indoors and outdoors, hot and cold temperatures, and everyday activities! I have only worn this mascara for one day, and already I am in love with it! It is bold, long lasting, smudge free and budget friendly! I am a bit biased as it’s from my favourite health and beauty brand, but it really is great (as well as every other S&G product). This costs only £6 from Boots, and I think it is worth every penny. 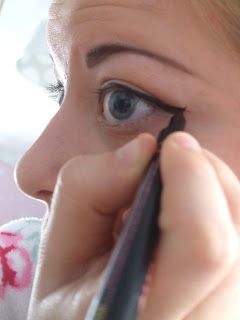 If you’re looking for an easy to use eyeliner product, then you should really try this, it’s much easier than using traditional dip liquid eyeliner. 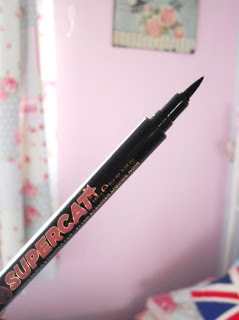 I only discovered felt tip eyeliners recently and I agree that they are so much easier than liquid…will so be checking this out A.S.A.P.! Ohh this looks good! Great price! 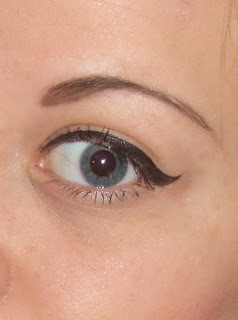 I love felt tip eyeliners. And I love Soap and Glory. So I might have to try this! Mines actually running out so may use my Boot points on this baby! 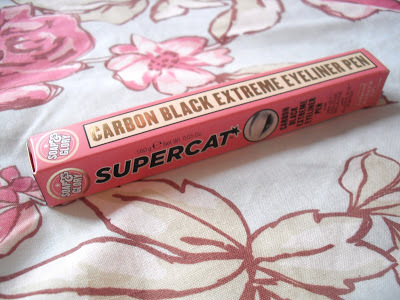 Love all soap and glory products, never used much of their cosmetic range but am going to brave it and try the supercat eyeliner. Great review thanks.